This property is vital to the health of Walloon Lake. It contains several springs and creeks that form the headwaters of South Arm Creek, which flows into Walloon Lake. The entire preserve is wetlands which act as a giant filter before the water reaches the lake. An addition to this preserve was purchased in 2014 from the family of Anna Kent, giving road-side access to this wetland complex. From the Village of Walloon Lake, travel south on M-75, towards Boyne City. Approximately 2.8 miles south of the Village, at the road/stream crossing, you'll see the preserve sign. 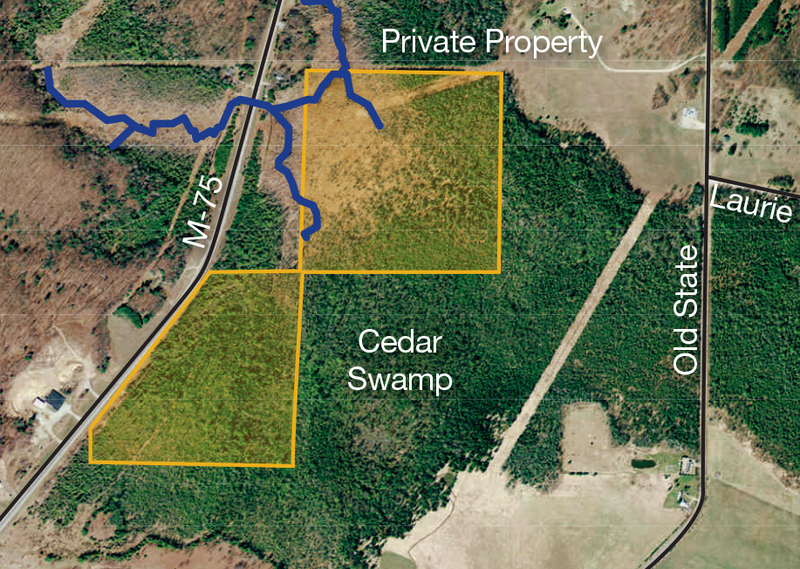 Access to this preserve can be gained by walking through the power-line easement, or further south at the Kent Family Addition to Frog Hollow Preserve. No developed parking areas are available for this preserve.